It’s a question that has been asked since the dawn of time (or, at least, since November 2013 anyway); just what are the best PS4 FPS games? Whether it’s the white-knuckle, hyper-kinetic violence of DOOM, the breathtaking multiplayer thrills of Titanfall 2, or the survival horror tinged beats of Metro Redux, we’ve got you completely covered here. Starting with five of the finest examples from the first person shooter genre on PS4, and to be updated on a regular basis, here are some of the best PS4 FPS games that money can buy! The third and final game in the current Metro videogame series, Metro Exodus is the conclusion of Artyom’s story and in being so, emphatically closes out the trilogy with aplomb. 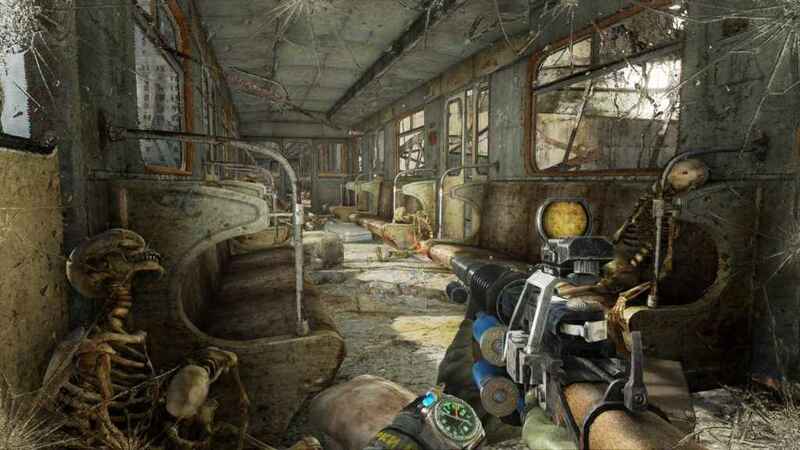 Boasting some of the best visuals seen in an FPS to date, Metro Exodus compliments the beautiful grotesqueness of the post-apocalyptic Russian wasteland with equally detailed characters and monsters too. Metro Exodus continues the Metro series deft blend of atmospheric storytelling, great visuals and engaging gunplay. 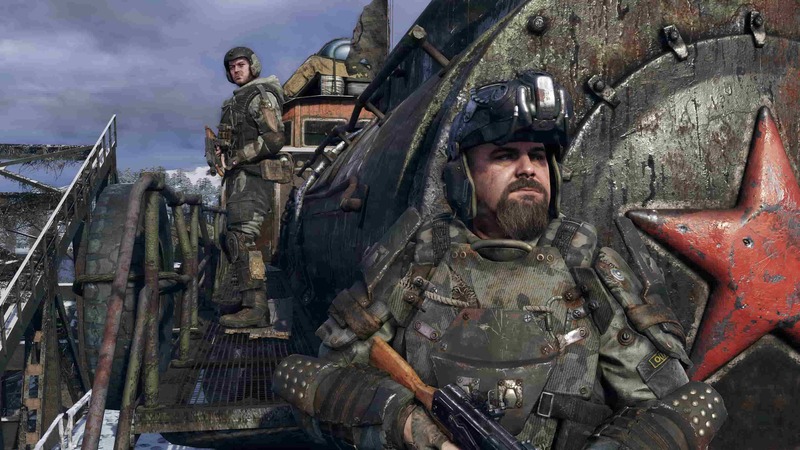 Metro Exodus emboldens the series survival horror FPS ambitions even further than before – by mixing in stealth and some horrendously tense, tight-knit corridor shooter sections, this latest effort from 4A Games proves without a doubt that the Ukrainian-Maltese developer has what it takes to effortlessly immerse players in its grim world. If you’re a fan of previous Metro games, or just engaging, visceral shooters in general, then Metro Exodus is absolutely your huckleberry. After even just a few hours with Battlefield V’s multiplayer, it’s difficult to dispute the fact that this is pretty much the best that Battlefield has ever been. 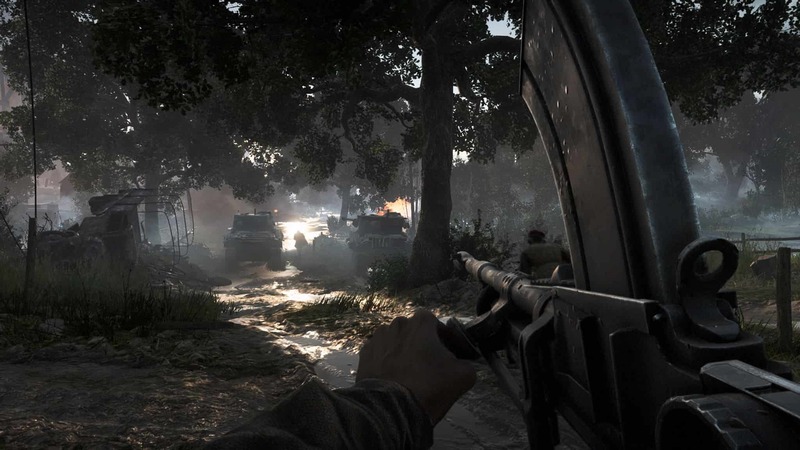 From the newly emboldened destruction, to the new class progression structures and the ability to fortify positions, EA have taken Battlefield to the sort of heady heights that the series has long deserved. Battlefield V is the best entry in the series to date, and will only get better as time goes on. Beyond that, EA also did the right thing by banishing all sorts of paid microtransactions that directly affect gameplay – something that crippled Star Wars Battlefront II shortly after its release. With a refreshing single-player campaign that takes players to lesser known corners of the war, and boasting some of the best multiplayer the series has ever seen, Battlefield V is certainly one of the better shooters you can buy right now on PS4. 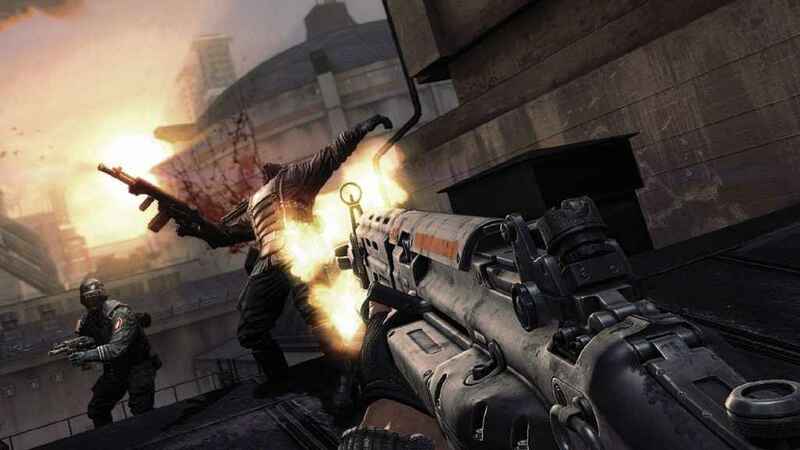 For years it has been the multiplayer aspect of Activision’s Call of Duty juggernaut that has sustained franchise – with many players going so far as saying that the bombastic single-player portion was ultimately little more than fancy window dressing. Well, this year Activision has called their bluff with Call of Duty Black Ops 4 – the very first entry in the series that does away with the single-player campaign entirely with a view to focus on its other, multiplayer-centric game modes. Call of Duty Black Ops 4 is a game of firsts for the series. Chiefly, it is also the *only* FPS title on the market right now that offers a split-screen configuration for its Battle Royale mode. As well as iterating on the series bread and butter near-future set competitive multiplayer, Black Ops 4 also brings an entirely reworked Zombies mode which takes place across a number of different time periods, and Blackout – a Call of Duty take on the current Battle Royale craze that is sweeping the industry. 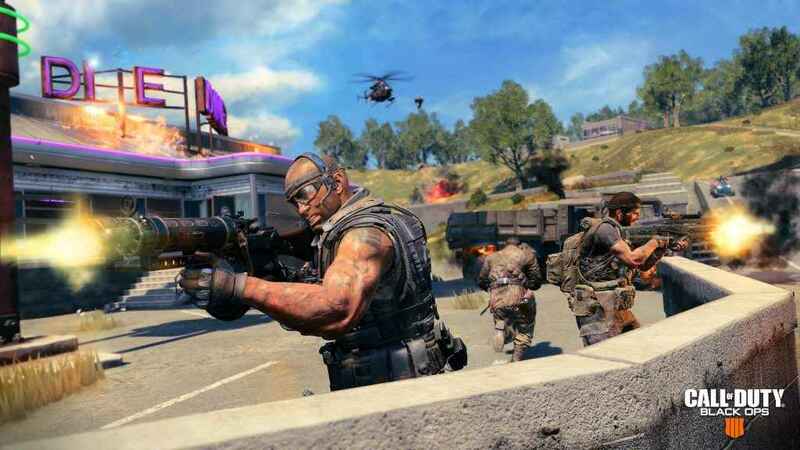 Much more than just an afterthought however, Blackout is a supremely well constructed and snappy take on the Battle Royale template that is greatly enhanced by the fact that it can be played in split-screen, too. An industry first! 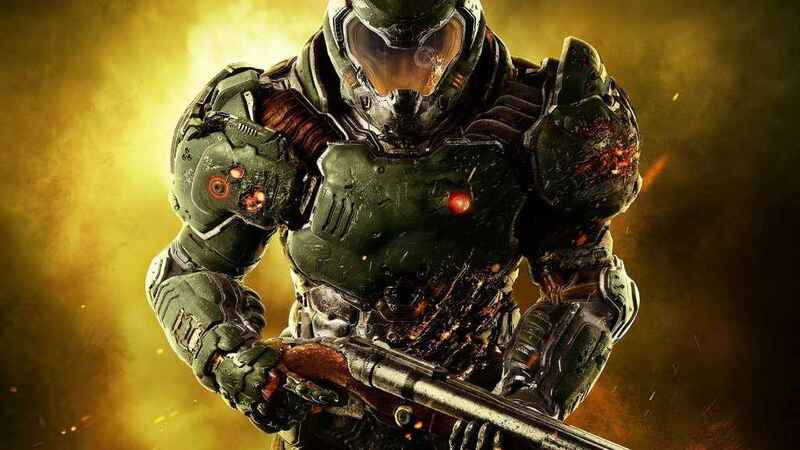 It’s perhaps fitting that DOOM, in making no attempt to change its name from the 1993 original, honors the spirit of the godfather of the genre better than any other game that has arrived since its release some 23 years ago. Gone are the cover and the regenerating health mechanics that we’ve been conditioned to rely on for so long now, instead replaced by a blisteringly fast shooter where health replenishment is finite and the only place you are safe is really no place at all. 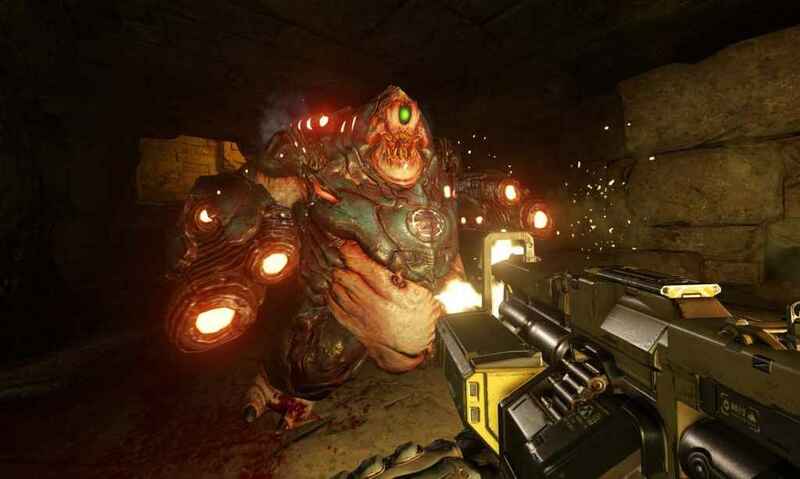 Best PS4 FPS Games: When DOOM released on PS4 back in 2016 it re-imagined the godfather of the genre in a brutally bombastic way that few would ever have expected. More than just honoring the spirit of DOOM more thoroughly than we ever thought possible, DOOM is a belting shooter in its own right with fantastic level design, endlessly satisfying combat and one of the best, most energizing shooter soundtracks to ever grace your ears since Nine Inch Nails lent their talents to the original Quake back in 1996. This is DOOM and DOOM has returned to claim its place as one of the best PS4 FPS games money can buy. If you like shooters you need this – it’s that simple. Despite being nearly four years old at this point, Metro Redux remains one of the most atmospheric shooters you can buy on PS4. Set in a post-apocalyptic Russia, Metro Redux (based on the Metro novels of the same name), casts players as a grizzled survivor who must explore the urban wastes and tundra to discover the origins of the ‘Dark Ones’, hideous monsters that have risen from the ashes of the nuclear fire. Best PS4 FPS Games: Metro Redux is a value stuffed package that contains two of the most atmospheric shooters you will ever play. Packing in gorgeous remasters of both Metro 2033 and its sequel Metro: Last Light, Metro Redux is a value-stuffed proposition that places a real emphasis on atmospheric exploration in a semi open world, and survival alongside more traditional shooter beats. In short, if you like your FPS games dripping with atmosphere and with a dash of Valve’s Half-Life to boot, there are few better choices out there then Metro Redux. A world away from the loot-stuffed dungeons of Diablo III and the breathlessly expansive realms of World of Warcraft, it’s fair to say that Blizzard Entertainment never used to be intimately familiar with the FPS genre. 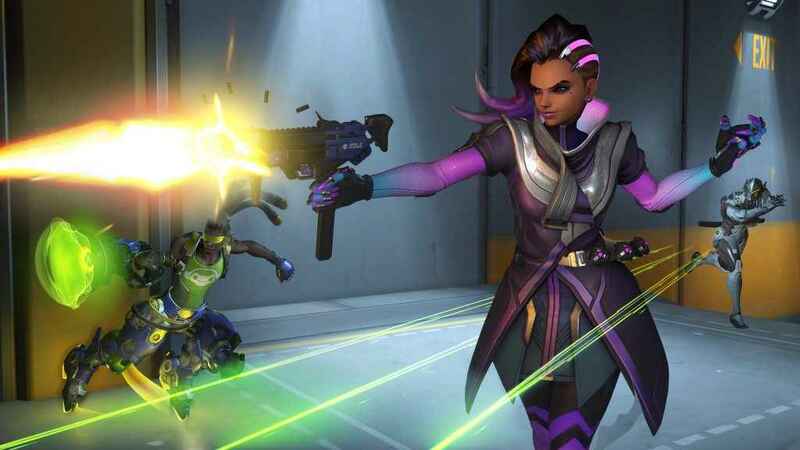 Fast forward to 2018 however, and such doubts melt away instantly as Overwatch has emphatically staked its claim as the premier team-based multiplayer shooter on PS4. Best PS4 FPS Games: With well over 30 million active players, Overwatch has grown into an esports juggernaut. Supported by an undercurrent of deep and charisma flush characters that all play differently and possess a series of finely tuned strengths and weaknesses that meaningfully separate them from their peers, Overwatch is a uniquely rewarding, team-focused online multiplayer FPS in which satisfaction and thrill are endlessly doled out in equal measure. The very design DNA that is threaded through every aspect of Prey‘s impressive offering suggests that Arkane’s sci-fi shooter could never really fail. Equal parts Dishonoured, Bioshock and legendary FPS adventure System Shock, Prey has players waking aboard the Talos I space station in the year 2032 as the aftermath of a humanity changing experiment unfurls among the station and its decidedly unfortunate crew. Best FPS PS4 Games: Prey is a heady cocktail of Bioshock, Dishonored and System Shock that you really shouldn’t ignore. 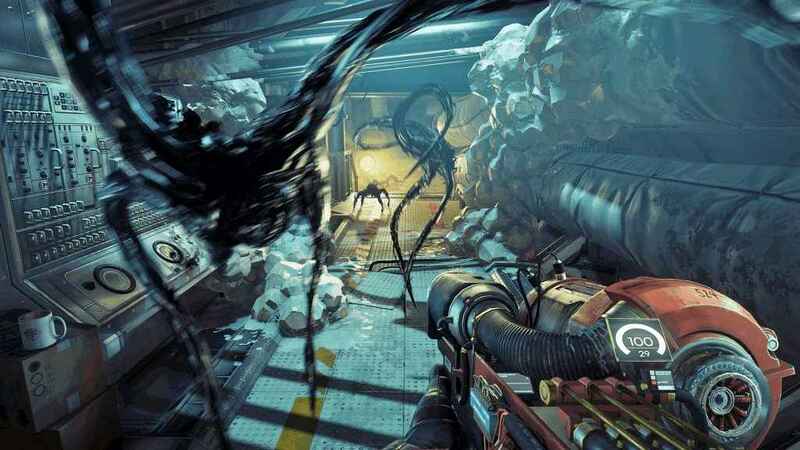 Embracing the very same FPS and progression beats that served the likes of Bioshock and Deus Ex so well, Prey thrusts the player into an environment devastated by a shadowy foe and in doing so displays some truly clever survival horror sensibilities that few other entries in the FPS genre have been able to match. Smart, satisfyingly and harrowing, Prey is an easy recommendation for anyone looking for story-driven shooter with bucket loads of atmosphere to spare. Rainbow Six Siege is one of the first person shooter games on PS4 that has grown massively since launch. The fast-paced tactical shooter action is explosive and puts a heavy emphasis on team work. 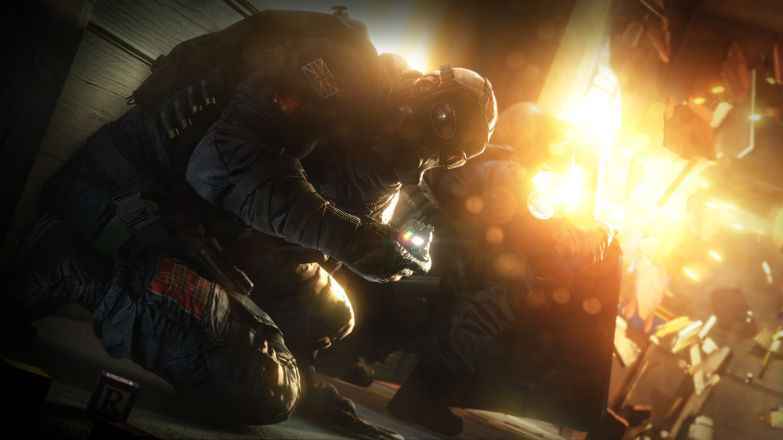 You choose from a variety of operators who have different weapons and gadgets. A deeply tactical and satisfying shooter, Rainbow Six: Siege also happens to be one of the best multiplayer PS4 games. Though there’s a single player mode, the action really steps up a notch in the online multiplayer mode. Over a series of rounds, one team attacks while the other defends. Elsewhere there are also plenty of great gadgets and items your disposal, such as reinforced walls, there’s plenty of close quarter combat to get the adrenaline pumping! 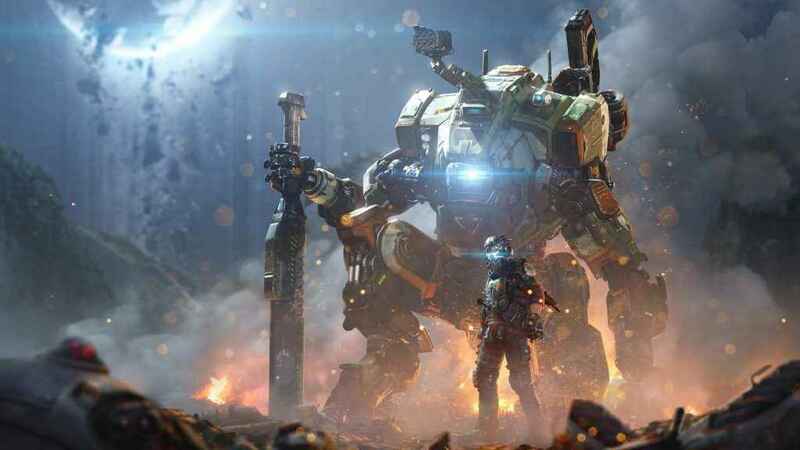 After being unfairly lumped with exclusivity to Microsoft’s consoles, it was clear soon after the release of the first game in the series that the future of Titanfall lay very much in the multi-format domain. So it was then that in October 2016 Titanfall 2 came stomping onto PS4 for the first time, and in doing so not only remedied everything that was wrong with the original game, but also provided PlayStation gamers with a stupendous shooter in its own right. Best PS4 FPS Games: Quite unlike its Xbox One only predecessor, Titanfall 2 boasts a fully-fleshed out and supremely impressive single-player campaign. In addition to a superlative story-driven single-player campaign, arguably the bulk of Titanfall 2’s thrills are to be found in its modular combat whereupon players could, as a foot soldier, not only use firearms but also grappling hooks and wall-running skills to scale the game’s maps before hopping into one of the game’s hulking Titans; towering mechs stuffed with city-destroying ordnance. Furiously satisfying, demanding of player skill and boasting an horrendously deep multiplayer endgame, Titanfall 2 delivers on the series promise with aplomb and gives the PS4 one of its very finest shooters in the process. Much like DOOM earlier on in this feature, Wolfenstein: The New Order is very much a textbook exercise in how you reinvent a revered decades old shooter for a modern audience. Set in an alternate history 1960s where the Nazis won the Second World War, Wolfenstein: The New Order casts players as the square-jawed B.J. Blazkowicz who must, by his own admission, punch, kick, strangle, shoot and stab as many Nazis as he can possibly find. Best FPS PS4 Games: Wolfenstein: The New Order was a masterful reinvention of one of the genres founding fathers. Of course, all of this is just a handy excuse for some of the most straightforwardly brilliant shooter shenanigans on PS4, as players romp through The New Order’s numerous levels killing Nazis, discovering secrets and generally having a bloody good time in the process. Again much like DOOM, Wolfenstein: The New Order crucially hasn’t forgotten the essence of what made its inspiration so beloved in the first place. In doing so, it embraces that core experience to create one of the most enjoyable shooters to date. If you enjoyed this feature on the best PS4 FPS games, why not check out some of our other ‘best of’ features, such as the best PSVR games, best PS4 exclusives and best PS4 indie games and best PS4 fighting games that money can buy. I think that description of Doom sells it a little bit short. I mean, the reason that it can have no regenerating health and still work so well is that there are no hit-scan enemies. Every attack that comes your way, you are given the oppurtunity to see it and make a decision(like dodging). This small, but significant detail is what makes it the best shooter on PS4, IMO. It’s FAR more engaging when I’m not being shot at from hitscan enemies that are somewhere off-screen that I can’t see, and are instead ducking, dodging, and dancing my way around glowing balls of death while slaughtering demons in the most spectacular fashion imaginable, haha. I personally can’t stand shooters, but love Doom, because of everything I said above. I’m not sure Prey should be on this list. The others are pretty understandable and live up to critical acclaim and high sales, and while I’m aware it has its fans, I don’t think it lives up to the standards of the others. Personally, I’ve only played the demo and it wasn’t as enjoyable as I expected. It certainly piqued my interest, but not enough that I want to play the full game, and while I see the similarities, it was nowhere near as good as BioShock or Dishonoured. The others seem pretty reasonable. Doom was heaped with praise and is the only game on this list I actually own. I plan on getting into Wolfenstein at some point too, especially as there’s quite a lot of extra content being released. Metro seems decent and I’ll probably get into it at some point down the line. Titanfall 2 looks great, but I’ve only played bits of the first. By the time I get around to it, Titanfall 3 will probably be out, and from what I understand it’s primarily a multiplayer experience. Overwatch isn’t really my thing, but I can understand why people enjoy it. What I find interesting is that, if you do insist on including Prey in this list, half of the games are by Bethesda, which is pretty impressive. I played Wolfenstein around my girlfriend’s last week and it really is a good game. Great memorable characters, good story and great action!